Indy Eleven continued its theme of adding experience to its 2016 roster today with the signing of midfielder Nicki Paterson. The native of Motherwell, Scotland, is the 20th player to sign with Indy Eleven for the club’s third season and is among nine newcomers. 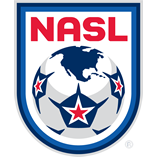 Paterson counts as the fifth international player on the Indy roster in 2016, leaving two international slots left to fill per North American Soccer League roster regulations. 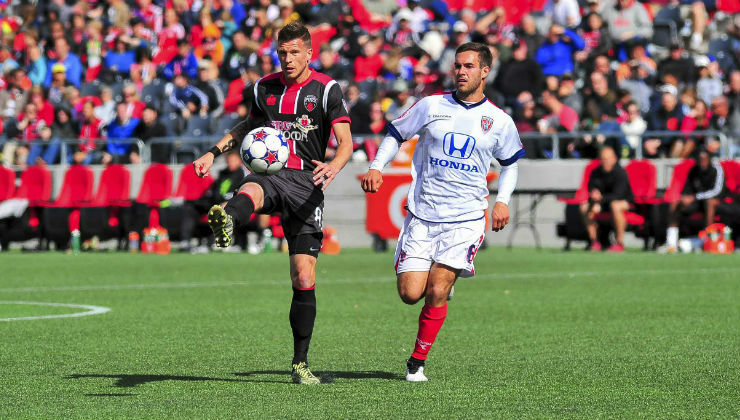 Paterson was the first player signed by Indy’s “Class of 2014” rival, Ottawa Fury FC, and netted four times in 26 appearances across the last two years, each of which saw significant time missed due to injury. Appearing in nine games with seven starts during the 2015 Spring Season slate, the 31-year-old midfielder scored twice in league play, including a late game-winner in a 1-0 triumph over the Eleven in May, before an ACL injury robbed him of participation in Fury FC’s run to the Fall Season title. “My family and I are very excited to sign with Indy Eleven," Paterson said. "The organization has massive ambitions which have clearly been seen this offseason with some of the signings made. Coach Tim Hankinson’s passion for the game is second to none and I can't wait to start working with the staff and players next month. Prior to his jump to the NASL, Paterson spent three years with USL PRO side Charleston Battery, all alongside his former Ottawa and new Indy Eleven teammate Falvey. The Scot took the Battery to the USL PRO championship in 2012, and his combined totals of 30 goals and 10 assists was more than any other midfielder in the league during his three-season stint. Paterson’s journey in American soccer began during his collegiate days with UNLV from 2005-08, and he also played in the USL system with the Des Moines Menace (PDL), Harrisburg City Islanders (USL Second Division) and Real Maryland Monarchs (USL-2). Paterson also suited up in his native Scotland professionally for Hamilton Academical and Clyde F.C., and grew up in the youth system of his hometown side, Motherwell F.C.